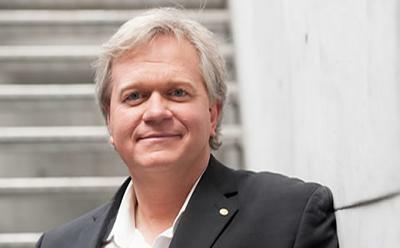 The 2011 Nobel Laureate for Physics Professor Brian Schmidt will discuss the accelerating universe at the University of Southampton next month. Professor Schmidt, who is also a Diamond Jubilee Fellow at the University, will be giving the annual lecture for the University’s Southampton Theory Astrophysics and Gravity (STAG) Research Centre on Wednesday 4 November at 2.30pm. In 1998, two teams of scientists traced back the expansion of the Universe over billions of years and discovered that it was accelerating; a startling discovery that suggests that more than 70 per cent of the universe is contained in a previously unknown form of matter, called dark energy. Professor Schmidt, leader of one of those teams, will describe this discovery and explain how astronomers have used these observations to trace our universe's history back more than 13 billion years, leading them to ponder the ultimate fate of the cosmos. The STAG Research Centre brings together world-leading academics from three research groups – Theoretical Particle Physics, Astronomy and General Relativity – to improve our understanding of the Universe and the fundamental laws of nature. Researchers are exploring issues of fundamental physics and astronomy such as the ultimate building blocks of matter; extreme environments generated by black holes and neutron stars, which power some of the most spectacular phenomena in the Universe; and the identity of dark matter and dark energy, which make up 95 per cent of the Universe.